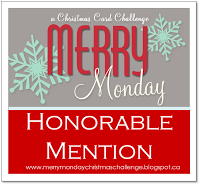 This is my take on the Monochromatic Color challenge over at PPA here. With one of the new In Colors being purple, I thought of that right away! So I used Concord Crush for the base of the card. I then punched out 4 squares from the 1 1/4 inch large square punch. I put them together and stamped the big flower from Printed Petals in Concord Crush. I layered that onto a piece of Perfect Plum and added a bit of the 1/2 inch Concord Crush stitched-poly ribbon. I stamped the "thank you" from Teeny Tiny Wishes in Concord Crush. That was punched out with the Word Window punch and layered onto a piece of Perfect Plum punched with the Modern Label punch. Finally, the little flower from Printed Petals was stamped in Concord Crush, punched out with the Itty Bitty Shapes punches pack and popped up with a Stampin dimensional. Here's my take on the Splitcoast sketch #291 here. The card stock base is Melon Mambo and I ran that thru the Big Shot with the Perfect Polka-dot textured impressions embossing folder. Then I added a piece of Tempting Turquoise DSP from the Patterns DSP Brights Stack. I stamped the image from Fun and Fast Notes in Basic Black and colored it in with Melon Mambo, Tangerine Tango and Tempting Turquoise Classic Stamp pads and blender pens. 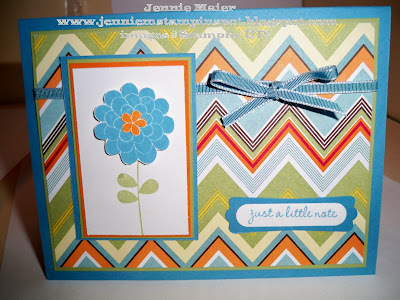 I stamped Dot Dot Dot in Tangerine Tango on that card stock and punched it out with the 5-Petal flower punch. The middle flower was Tempting Turquoise punched with the Boho Blossoms punch. The littlest flower is from Printed Petals and was stamped in Melon Mambo and punched with the Itty Bitty Shapes punches pack. A gold brad was added to the center. Finally, a piece of 1/4 inch Whisper White grosgrain finishes it off. This card is for the Mojo Monday sketch challenge #149 here. The base is Chocolate Chip and then a piece of Real Red is layered onto that. Then there are papers from Greenhouse Gala DSP. The flower image from Friends Never Fade was colored with Daffodil Delight, Real Red and Pear Pizzazz Stampin write markers. A piece of Chocolate Chip card stock is layered behind that. The Real Red strips were run thru the Big Shot with the Vintage Wallpaper textured impressions embossing folder. The sentiment from Teeny Tiny Wishes was stamped in Chocolate Chip, punched out with the Word Window punch and layered onto a Pear Pizzazz piece punched with the Modern Label punch. Finally, a piece of 1/2 inch Pear Pizzazz stitched-poly finishes it off. Another sketch from Stamping 411 here. I began with a Crumb Cake card stock base and then ran a piece of Pear Pizzazz thru the Big Shot with the Perfect Details texturz plate. Flowers from Printed Petals were stamped in Concord Crush, Peach Parfait and Pear Pizzazz. The larger ones were cut out by hand but the smaller ones were punched out with the Itty Bitty shapes punch pack. 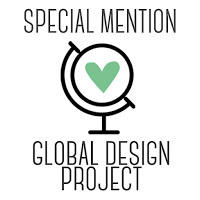 A few were popped up with Stampin dimensionals. The sentiment from Occasional Quotes was stamped in Concord Crush and punched out with the XL Scallop Oval punch. That was layered onto a Concord Crush piece punched with the XL 2 by 1 3/8 Oval punch. Finally, I added a piece of 1/2 inch Concord Crush stitched-poly ribbon. 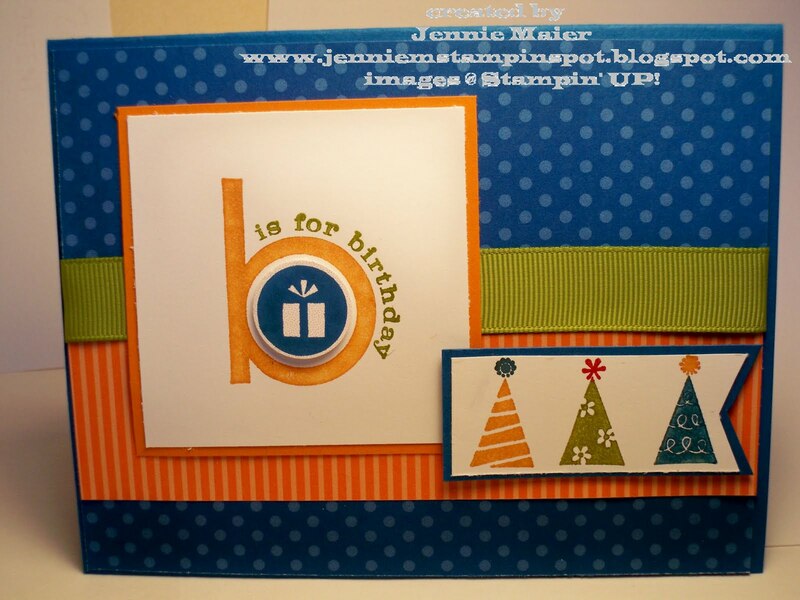 I made this cute baby card for two challenges: MOJO#148 here and Stamping 411 Color Inspiration #133 here. The colors are Baha Breeze, Crumb Cake and Not Quite Navy. Crumb Cake card stock is the base of this card with some Crumb Cake DSP from the Travel Journal DSP layered onto that. I used my Coluzzle to cut the big circles, one in Not Quite Navy and one in Baha Breeze. I ran the Baha Breeze one thru the Big Shot with the Perfect Polka-dot textured impressions folder. I stamped the monkey (from Fox and Friends) in Baha Breeze and the whale in Not Quite Navy. I then punched both of those out with the 1 1/4 inch square punch and layered them onto coordinating card stock punched with the 1 3/8 inch square punch. The center sentiment is from Occasional Quotes and was colored with Crumb Cake and Not Quite Navy Stampin write markers, stamped on Whisper White and punched out with the 1 3/4 inch circle punch. The Sizzix Circles #2 die was used for the Crumb Cake circle under the sentiment. The two patterned Crumb Cake squares from the Travel Journal DSP were also punched with the 1 1/4 inch square punch. Finally, "congratulations" from Occasional Quotes was stamped in Not Quite Navy. This is my take on the PPA#52 Sketch Challenge here. I started with a card stock base of Pacific Point and added some paper from the Patterns DSP Brights stack. The Pumpkin Pie striped paper is also from that stack. I colored the "b" image with Pumpkin Pie and Old Olive stampin write markers. I stamped the present in Pacific Point, punched that out with the 3/4 inch circle punch and popped that up with a Stampin dimensional. The party hats were colored with Old Olive, Pacific Point, Pumpkin Pie and Real Red Stampin write markers and popped up with dimensionals too. A piece of 5/8 inch Old Olive grosgrain finishes it off. It's my brother and his wife's anniversary, so what better paper to use than the Love Letter DSP? I also used the Splitcoast sketch #290 here. I started with a base of Riding Hood Red and added the papers from Love Letter DSP. I stamped the big flowers from Apple Blossoms in Riding Hood Red and Basic Black on Very Vanilla and then used the XL 1 3/8 inch square punch. I also stamped one again in Riding Hood Red and cut out the center. Happy Anniversary from Teeny Tiny Wishes was stamped on Very Vanilla in Basic Black and punched out with the Large Word Window punch. The piece of Basic Black behind that was punched with the XL Modern Label punch. 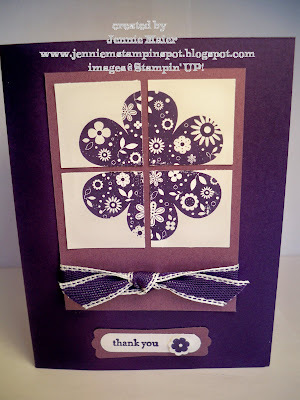 Finally, the center Black flower was popped up with some Stampin dimensionals. Now that our computer is back and cleaned of it's virus I can post my creations. This one was done for Stamping 411 #160 here. I started with a base of Daffodil Delight and added some of the same color from the Patterns DSP Brights stack. The Rich Razzleberry polka-dotted paper is also from that stack. I stamped the flowers from Printed Petals in Rich Razzleberry, Peach Parfait, Daffodil Delight and Old Olive. I punched out the little ones with the Itty Bitty Shapes punch pack. I stamped the tab from Perfect Punches in Peach Parfait, added the "thank you" from Teeny Tiny Wishes in Old Olive then punched all that with the XL Round tab punch. The strip of Whisper White was run thru the Scallop Edge border punch. A gold brad was added to the center of the Old Olive flower. Finally, a piece of 1/2 inch Peach Parfait stitched-poly ribbon finishes it off. Today is my middle child, Abby's 14th birthday. She's such a beautiful, smart, funny and kind young lady and I wanted to make her something fun, colorful and cute. I was inspired by this card on Splitcoast but I changed mine up a bit. I started with a card stock base of Poppy Parade and added some Early Espresso. I ran a piece of Blushing Bride thru the Big Shot with the Perfect Polka-dot textured impressions embossing folder. I stamped all the images in Early Espresso and used Early Espresso, Blushing Bride and Poppy Parade Stampin' write markers to color them in. 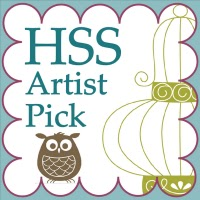 I used the large and extra large tag punches on the Whisper White image, Early Espresso and Poppy Parade card stock. The Word Window punch was used on the sentiment and layered onto a piece of Poppy Parade punched with the XL Modern Label punch. Some 1/2 inch Poppy Parade stitched-poly ribbon and 1/8 inch Early Espresso taffeta ribbon finish it off. Here's a wedding card for two challenges. The Splitcoast sketch #289 here and the PPA #51 Wedding Theme challenge here. I started with a card stock base of Regal Rose and added some paper from the Patterns DSP Brights stack. And then I used some Daffodil Delight from the Patterns DSP Brights stack too. The Pear Pizzazz strip is from Greenhouse Gala DSP. I stamped the wedding cake image from the Level 1 Hostess Set, It's the Thought, in Basic Black, and used Regal Rose, Pear Pizzazz and Daffodil Delight Stampin' write markers to color in the image. I punched that out with the large 1 1/4 inch square punch and layered that onto a Regal Rose piece punched with the XL Scallop square punch. Those pieces were popped up with Stampin dimensionals. Finally, I added some 1/8 inch Daffodil Delight taffeta ribbon and some 1/2 inch Pear Pizzazz stitched-poly ribbon. I made this quick and cute card for the Stamping 411 sketch #159 here. And I couldn't wait to use the Love Letter DSP and the new a la carte stamp, For You Flower! I started with a card stock base of Riding Hood Red and layered on some of the Love Letter DSP. I stamped the For You Flower in Riding Hood Red on Very Vanilla then punched it out with the coordinating Fancy Flower punch. 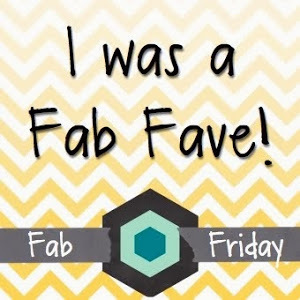 I stamped it again and used the 1 1/4 inch circle punch to punch out the center and pop it up with some Stampin dimensionals. I also used the Small Ticket Corner punch on the Very Vanilla square. Finally, some retired (boo hoo!) Riding Hood Red taffeta ribbon finishes it off. This colorful card was done for the Splitcoast Color Challenge #279 here. The colors are Wild Wasabi, Cherry Cobbler and Marina Mist. I really like this color combo! So I started with a card stock base of Wild Wasabi and ran that thru the Big Shot with the Perfect Details textured impressions embossing folder. I used Circle Circus to stamp my own background paper by stamping the circles in Wild Wasabi, Cherry Cobbler and Marina Mist. I stamped the truck from Loads of Love in Basic Black and the man and dogs from Loads of Love Accessories too. I colored that in with blender pens and Marina Mist, Cherry Cobbler, Basic Gray, Crumb Cake and Chocolate Chip Classic Stamp pads. The sentiment was stamped in Cherry Cobbler, punched out with the Small tag punch and layered onto a piece of Cherry Cobbler punched with the Large Tag punch. Finally, a piece of 1/8 inch Marina Mist taffeta finishes it off. My order from the new catty arrived so I had to play right away! I used the Mojo Monday sketch #147 here with a Level One Hostess set, Birthday Bakery and some new Patterns DSP Stack papers. I started with stamping the cakes from Birthday Bakery in Early Espresso and cutting them out. I colored them all with Early Espresso, Melon Mambo, Pacific Point, and Pumpkin Pie Classic Stamp pads and blender pens. They were then adhered to Whisper White squares and Early Espresso squares that were punched with the large 1 1/4 inch square punch. I used the oval Coluzzle to cut out the Whisper White and Pumpkin Pie ovals. The sentiment was stamped in Early Espresso. The little cake is on a Pumpkin Pie piece punched with the medium 3/4 inch circle punch and popped up with a Stampin dimensional. That was all layered on top of a Melon Mambo polka dot piece from the Patterns DSP Brights stack. Finally, pieces of Pacific Point were trimmed for the little banner look. This one is for PPA#50 a color challenge, here. I wasn't too sure about this color combo but I actually like how this card turned out. But that's the great thing about challenges, right? You're challenged to get outta your comfort zone! So I started with a card stock base of Basic Gray and ran that thru the Big Shot with the Vintage Wallpaper textured impressions embossing folder. 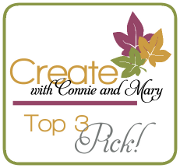 I used the Top Note die to cut out two top notes in So Saffron and Whisper White. I trimmed down the white one and stamped the Medallion stamp on that with Chocolate Chip. I again stamped the Medallion in So Saffron and cut out the center. I added a yellow Circle Fire Rhinestone brad to the center. The greeting is from Occasional Quotes and that was stamped on So Saffron with Chocolate Chip and punched out with the XL Scallop Oval punch. A piece of Chocolate Chip was punched with the XL 2 by 1 3/8 oval punch and popped up with Stampin dimensionals. Finally, a piece of 5/8 inch Basic Gray taffeta finishes it off. Yes, I know, another card with the Greenhouse Gala DSP. But it just goes to show you all the very different looks you can create from one pack of Designer Series Papers! 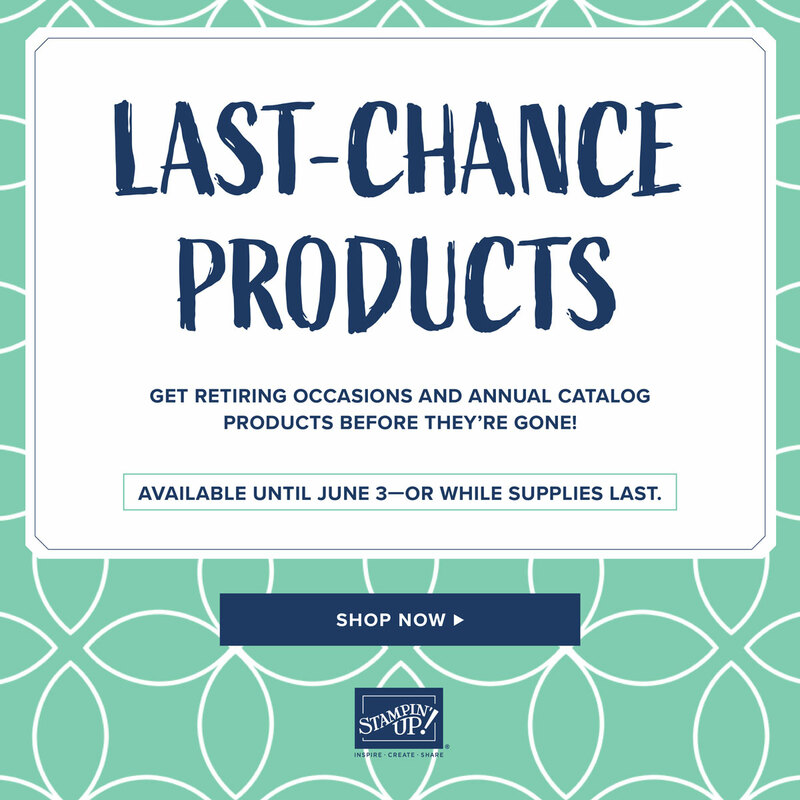 Besides, I won't get my new catty goodies until Monday so bear with me! This one was done for Splitcoast sketch challenge #288 here. The base is Chocolate Chip then some DSP. There's also some Pear Pizzazz and Baha Breeze and more DSP. I colored the image from Friends Never Fade with the Baha Breeze, Pear Pizzazz and Pumpkin Pie Stampin' write markers, and then punched that out with the XL 1 3/4 inch Circle punch. That was then layered onto a Chocolate Chip piece punched with the XL 2 3/8 inch Scallop Circle punch. I also added some dots with the white gel pen. I used the Stamp-a-ma-jig to stamp "Happy Anniversary" from Teeny Tiny Wishes in Chocolate Chip on Whisper White. The 1 inch medium circle punch was used on that and then layered onto a piece of Chocolate Chip punched with the large 1 1/4 inch circle punch. 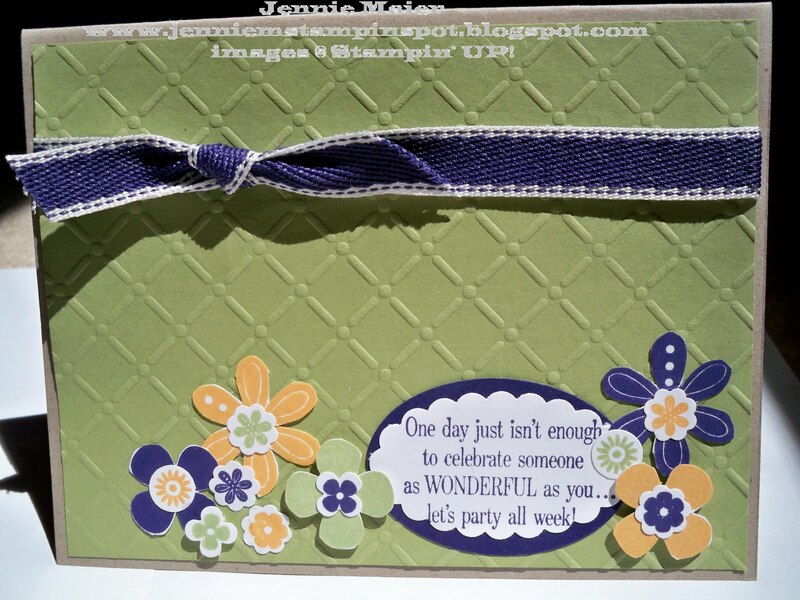 Here's a card using the DSP from Greenhouse Gala and a new stamp set, Perfect Punches. Every stamp in this set coordinates with one of the Stampin' UP punches. I started with a card stock base of Pumpkin Pie and layered on three of the different designs from Greenhouse Gala DSP. The strip of Real Red card stock was run thru the Scallop Edge border punch and I added some dots with the white gel pen. The "thanks" stamp from Perfect Punches was inked up in Pumpkin Pie then punched out with the XL Scallop Oval punch. I then layered a piece of Pear Pizzazz that was punched with the XL 2 by 1 3/8 Oval punch. Finally, a piece of 1/4 inch Pumpkin Pie grosgrain finishes it off. I just can't seem to put down my new Apple Blossoms set. It's too fun to create with! Plus I'm still waiting for new goodies from the new catty. So I created this card for MOJO146 here and for the Splitcoast Color Challenge #278 here. I began with a card stock base of Rich Razzleberry. Since I'm lacking in DSP I created my own by running a piece of So Saffron thru the Big Shot with the Vintage Wallpaper textured impressions embossing folder. And I used the Perfect Polka-dot folder on the Baha Breeze strips of card stock. I ran another strip of Baha thru the Scallop Edge border punch and added a piece of 1/4 inch Whisper White grosgrain ribbon. The large leaves from Apple Blossoms were stamped in Baha Breeze, Rich Razzleberry and So Saffron with the Stamp-a-ma-jig. The little flower was stamped in Razzleberry and a So Saffron brad was added to the center. That was then layered onto a piece of Razzleberry punched with the 1 1/4 inch Large square punch and then a piece of So Saffron punched with the 1 3/8 large square punch. Finally, "just a little note" was stamped in Rich Razzleberry on the bottom right hand corner. Here's an anniversary card I needed to make for my sister-in-law and her husband. I used an old Stamping 411 sketch, #153 here for my inspiration. I did use four new colors, Occasional Quotes, a Level 3 Hostess set and new taffeta ribbons. I stared by running Early Espresso card stock thru the Big Shot with the Square Lattice textured impressions embossing folder. I then stamped circles from Circle Circus in Cherry Cobbler, Early Espresso, Daffodil Delight and Marina Mist. I used those same color Stampin' write markers to color in the stamp from Occasional Quotes. A bit of Cherry Cobbler and Marina Mist card stock behind the Whisper White make it pop. Finally, 1/8 inch Daffodil Delight, Early Espresso and Marina Mist taffeta ribbon finish it off. This one is for the Stamping 411 sketch #158 here. The card stock base is one of the new colors, Marina Mist. I then layered a piece of another new In Color, Pear Pizzazz and the zig-zag paper from Greenhouse Gala DSP. The stamps are from the Level 2 Hostess set, Apple Blossoms. I stamped the flower twice, first in Marina Mist then Pumpkin Pie and cut out the little flower from the center. The stem was stamped in Pear Pizzazz. The sentiment was stamped in Marina Mist, punched out with the Large Word Window punch and layered onto a piece of Marina Mist punched with the XL Modern Label punch. Finally, a piece of 1/8 inch Marina Mist taffeta ribbon finishes it off. I had a few minutes to stamp so I created this card for the MojoMonday sketch #145 here. I began with a Bashful Blue card stock base. I then ran a piece of Garden Green thru the Big Shot with the bigger polka dot Backgrounds 1 texturz plate. 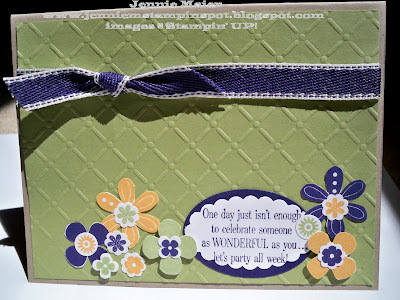 I stamped "celebrate"from Party Hearty in Garden Green on Whisper White and punched that out with the 1 3/4 inch Extra-large circle punch. A circle of Pumpkin Pie cut with the Coluzzle is layered onto that. And I stamped the "celebrate" again in Pumpkin Pie and cut out the center circle. The hats were colored with the Bashful Blue and Pumpkin Pie Stampin' write markers and cut out and adhered to the square. The striped paper is from Travel Journal DSP in the Summer Mini. 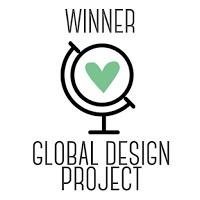 The present was stamped in Garden Green and punched out with the 3/4 inch medium circle punch. 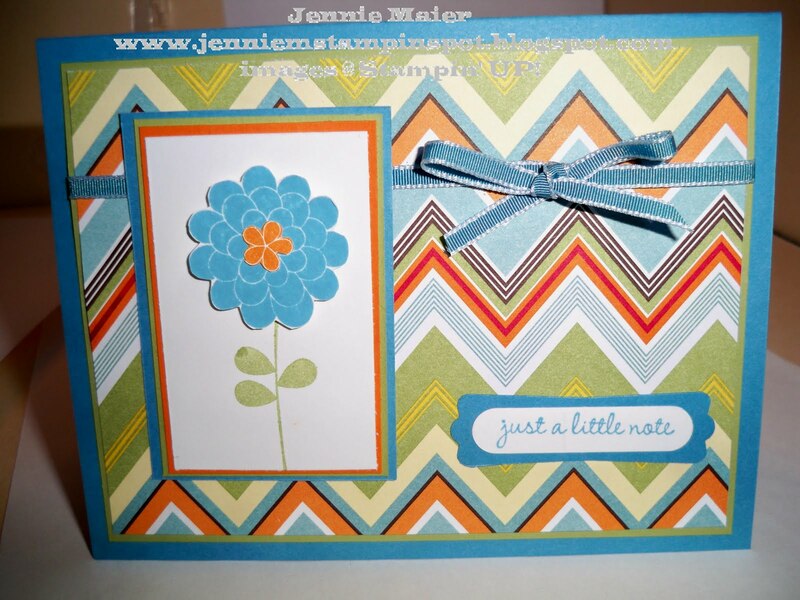 Finally, the Extra-large star punch was used on Bashful Blue card stock and that was popped up with a Stampin' dimensional. PPA#49 Happy 4th of July! Happy 4th of July weekend! This is my take on the PPA#49 Inspiration Challenge here. I started with a card stock base of Crumb Cake(formerly Kraft). I stamped the circles from the Level 2 Hostess set, Apple Blossoms in Crumb Cake with the Stamp-a-ma-jig. I stamped the "happy" definition from Define Your Life in Cherry Cobbler and "July" from Full Calendar in Cherry Cobbler too. I punched out the July with the 1 3/8 in by 5/8 inch large oval punch and layered that onto a Night of Navy punched with the 1 3/4 in by 7/8 inch large oval punch. The number 4 is from the retired Big Deal Numbers and I added the "th" and "of" with the Night of Navy Stampin' write marker. I used the paper piercing tool to pierce some circles to the strip of Whisper White card stock. The Perfect Polka-dots textured impressions folder was used to add the dots to Cherry Cobbler, Whisper White and Night of Navy card stock. And finally, I punched out three stars with the Extra-Large Star punch and popped them up with Stampin' dimensionals. It's here! The new 2010-2011 Idea Book and Catalog is available to order from beginning at 12N (MST)! I can't wait to get some more new goodies, but meanwhile I'll post samples with my pre-order items. 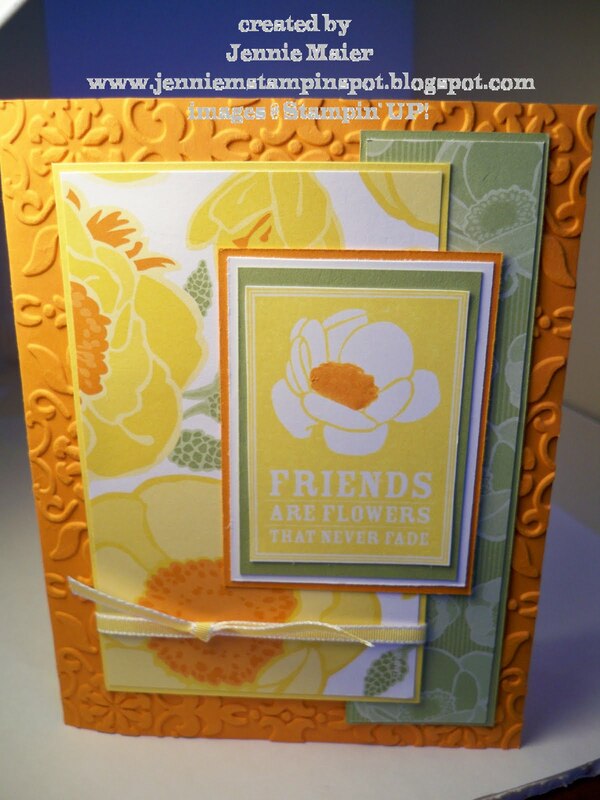 This card was made with the Greenhouse Gala DSP and Friends Never Fade stamp set. 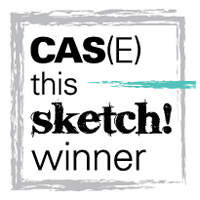 It was also created for Splitcoast sketch #287 here. I began with a card stock base of Pumpkin Pie and ran that thru the Big Shot with the new Vintage Wallpaper textured impressions embossing folder. The patterned papers are from the Greenhouse Gala DSP. I inked up the stamp from Friends Never Fade with a new color, Daffodil Delight and colored in the center of the flower with the Pumpkin Pie Stampin' write marker. A piece of Daffodil Delight 1/8 inch taffeta ribbon finishes it off!